Space crunch coming your way but still looking for a place to eat and entertain, without overwhelming the entire space? This can be a big challenge! While all of us love a grand, banquet like sprawling dining space, we all know it isn't always possible to dedicate so much space to the purpose. But by making few smart choices, it's entirely possible to carve out the perfect spot to enjoy meals and gatherings while fitting seamlessly into the rest of your decor. 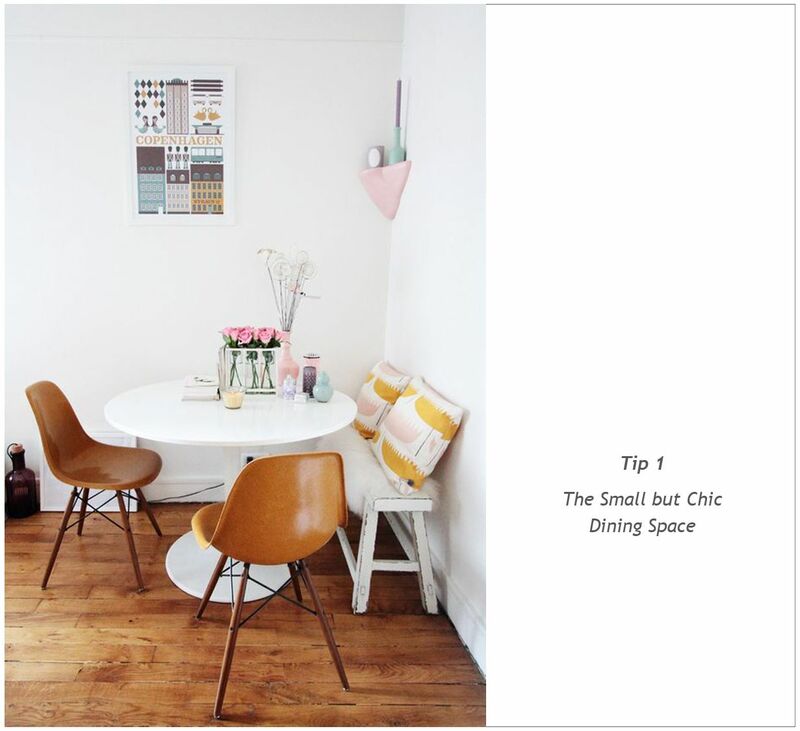 Whether you have narrow side room or just a little corner in the kitchen, these easy ideas will help you squeeze in a dining nook anywhere in the house. Make the most of your small space by using built-in benches tucked into the corner of the room. Create the mood of a chic little cafe by shifting your setting to the walls and adding a piece of art and a light fixture. Use Round tables, as they take advantage of the room's square proportions while providing maximum seating space. With round tables, it gets easier to pull up an extra chair when guests arrive as you're not competing with corners. 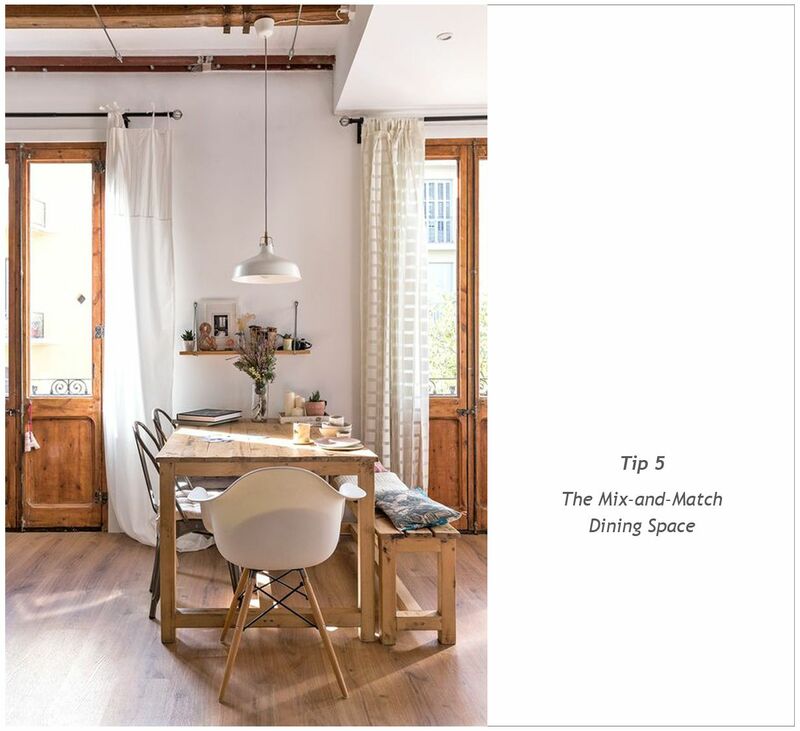 To define the small space dining area, use pendant lamp right above the table. They will help you define the area and allow you to control the mood when used with dimmers. A kitchen island is a luxury for an everyday cook. It is a handy space surface when you need some extra room from cooking preparation, and a perfect spot to enjoy a casual meal. 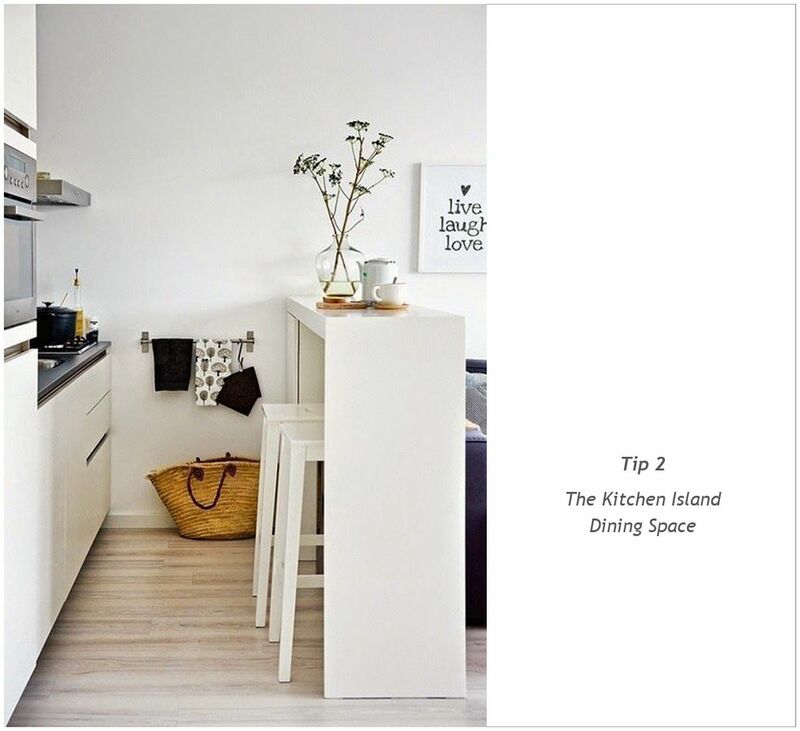 To add more versatility, go for a taller island, which will allow some added storage underneath for crockery, table linens and napkins and will let the stool slide underneath and out of the way when not in use. A Good tip could be to install a table that mounts onto the kitchen counter and folds down when not in use. Yes, you can't throw a dinner party for 12 here, but you don't really need a grand space to enjoy an everyday meal. A petite setup of a bistro table and sleek dining chairs is a chic solution for small dining space woes. 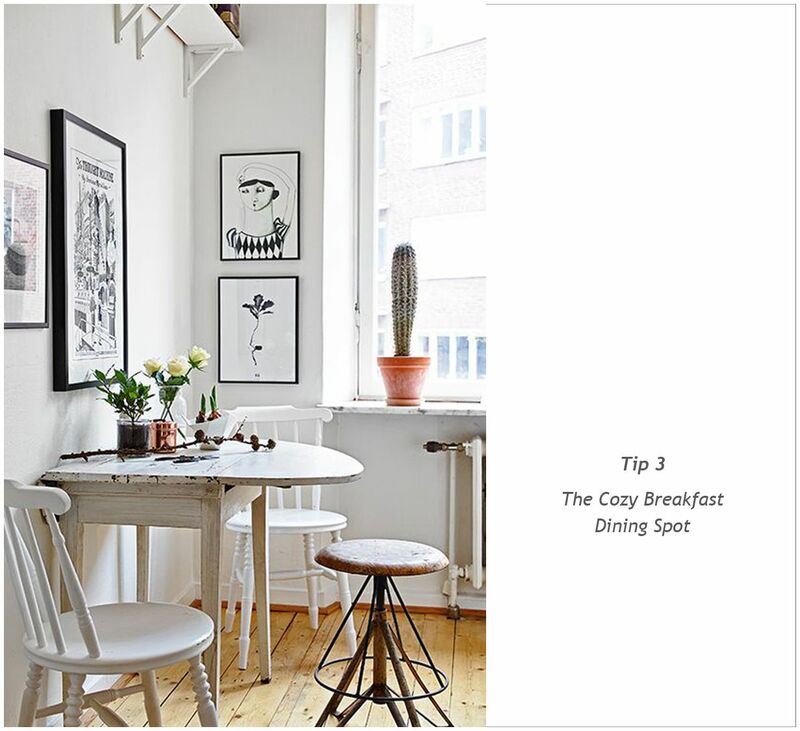 Carve out this small little breakfast space next to your kitchen to have a quick bite, a cup of coffee and chitchat while preparing meals. To make it look big, lighten up the palette. From the walls, curtains to rugs and furniture, it will do wonders to counteract the smallness of the space. 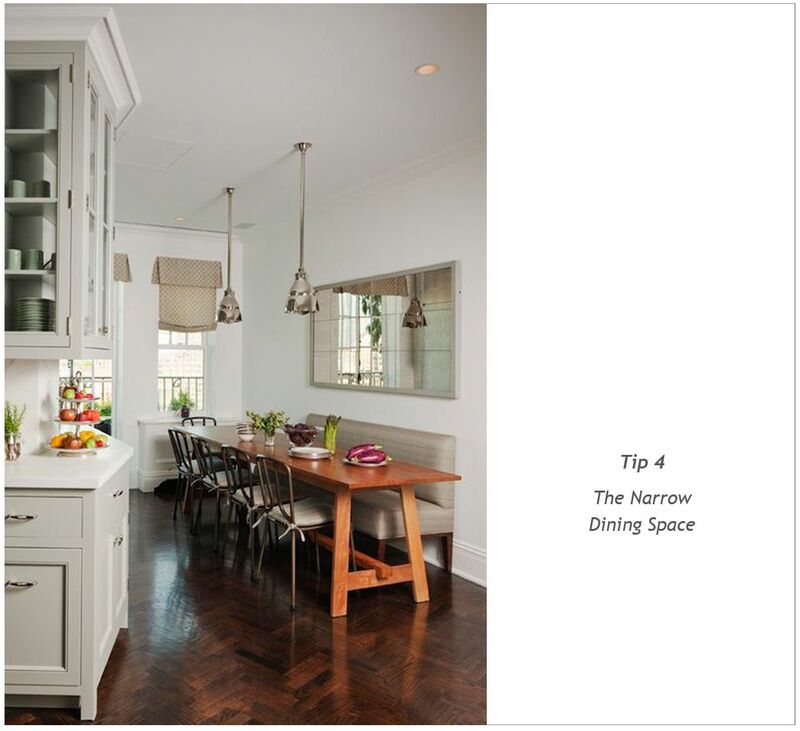 A narrow gallery like space can be perfectly used as a dining room. Just a longer, narrower table with minimal centrepieces for a less chaotic look will help you set up your dining area. To make the most of the narrow space, use a large wall mirror, placed opposite the table that will also help expand the view of the room. Tall windows and neutral walls will also bring extra light to the space, making it feel bigger and brighter. In some way, it’s fun and easy to decorate a small space, as the impact of colour, pattern, texture and style goes a long way. Go for colourful seats, pendant lighting fixtures, a wallpapered accent wall, some unique centrepieces or whatever your heart desires to make the most of your small dining room. Stay tuned for more such content!